Tonner, Phyn & Aero Birthday Wishes Nancy Ann! P17NADD06. 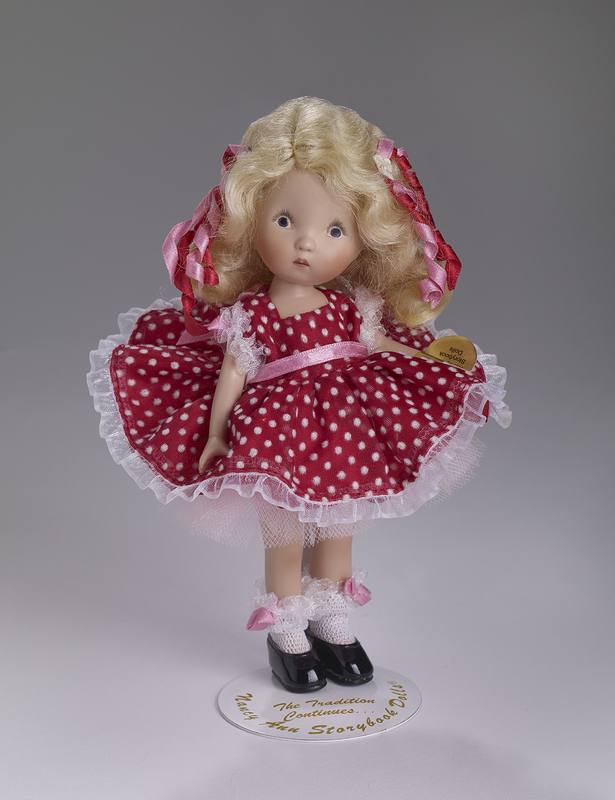 Made of the finest bisque porcelain and hand painted, six inch tall Nancy Ann is dressed in faux dotted swiss dress of bright red decorated with birthday pink satin ribbon. She wears a net petticoat, white ruffle socks with pink ribbon bows and black shiny shoes. 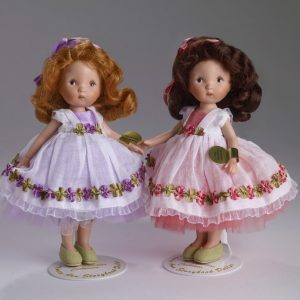 Her wavy blonde mohair wig is trimmed with curled ribbon of pink and red. 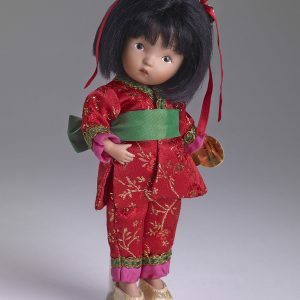 Nancy Ann comes with a gold foil wrist tag and perfect fit doll stand.